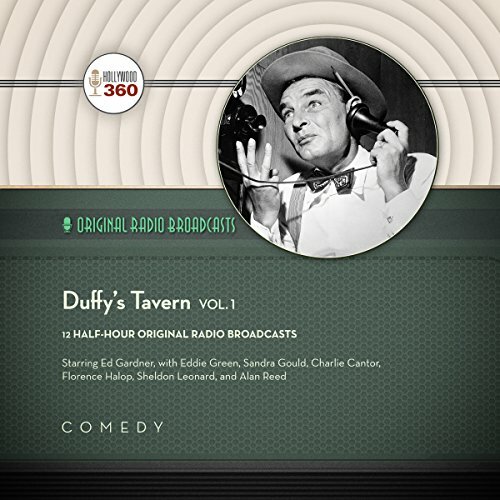 Showing results by narrator "Ed Gardner"
In one of the goofiest slapstick comedies on the radio, Archie the bartender assaulted the English language and insulted most of Hollywood. Portrayed by series creator Ed Gardner, Archie had hard luck with the ladies. But he must have had some appeal to draw a group of guest stars like Marlene Dietrich, Gypsy Rose Lee, Chester Morris, Ed Wynn, Bob Crosby, Rudy Vallee, and more. Slippery McGuire sells Archie a patent on electricity! Don't miss Archie speaking Yiddish. Ed Gardner, Alan Reed, Eddie Green, Charlie Cantor, Gloria Erlanger. 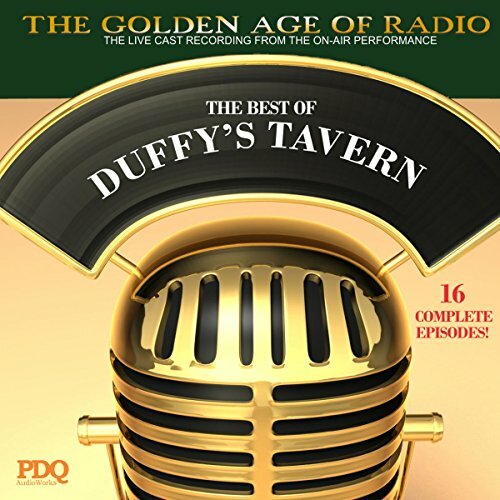 Available for the first time on CD, this 9-Hour re-release of our Duffy's Tavern: Volume One is the very first in our Archives collection. Once again these fantastic episodes from the 1951 season are available - along with a bonus track: the series' 1940 audition performance on Forecast. Come on back to the place where "the elite meet to eat" and visit with Archie and the gang. There is never a dull moment at the tavern on New York's 3rd Avenue. 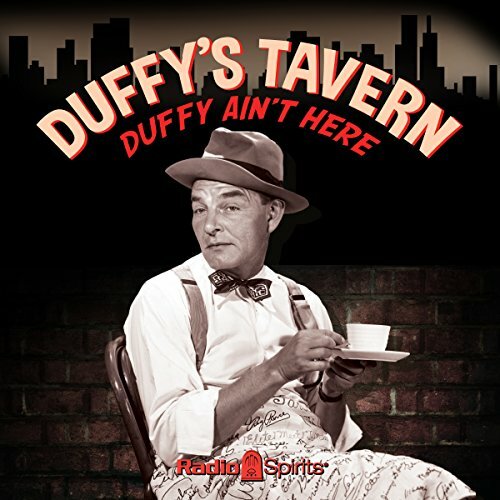 Our Duffy's Tavern: Volume One is the very first in our Archives collection. Once again these fantastic episodes from the 1951 season are available - along with a bonus track: the series' 1940 audition performance on Forecast. Come on back to the place where "the elite meet to eat", and visit with Archie and the gang. 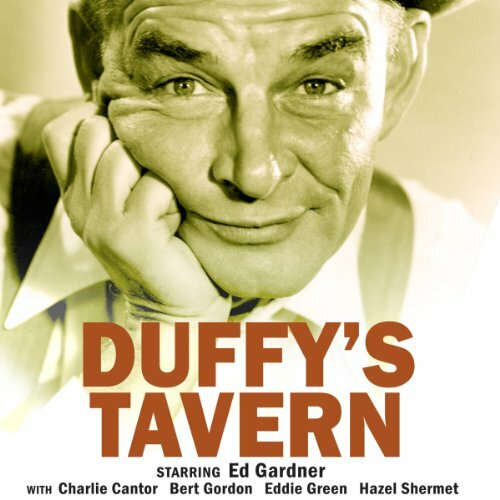 There is never a dull moment at the tavern on New York's 3rd Avenue. 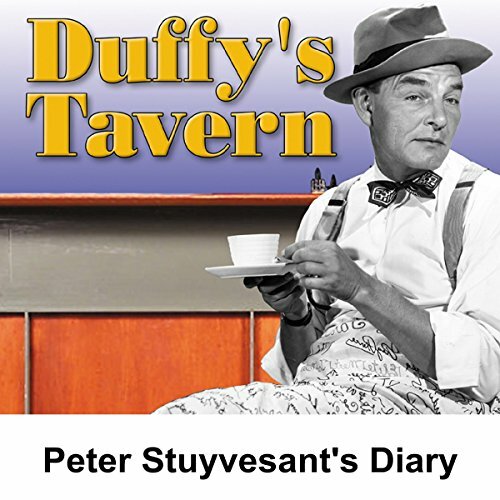 Archie finds the diary of Peter Stuyvesant. Featuring Ed Gardner, Arthur Treacher, Bert Gordon, Hazel Shermet. Guest Shelley Winters heats up the joint, and Archie gets a mysterious valentine. It is unsigned - or, in Archie words, "unanimous." Archie's doctor has told him that he only has three days to live... or did he? Archie keeps the true diagnosis from the gang down at the tavern. 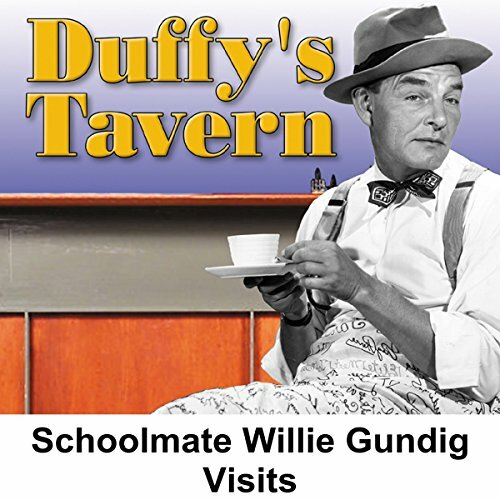 Willie Gundig, Archie's old classmate, pays Archie a visit down at the tavern. Archie orders a new car to impress Willie. It's a 1949 Cadillac.